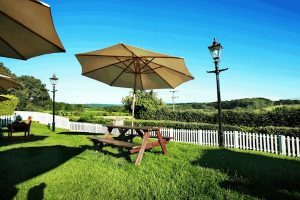 Muddy says: Just 5 miles from Tunbridge Wells, this newly-refurbed pub offers good family food and alfresco dining with incredible views across the countryside. 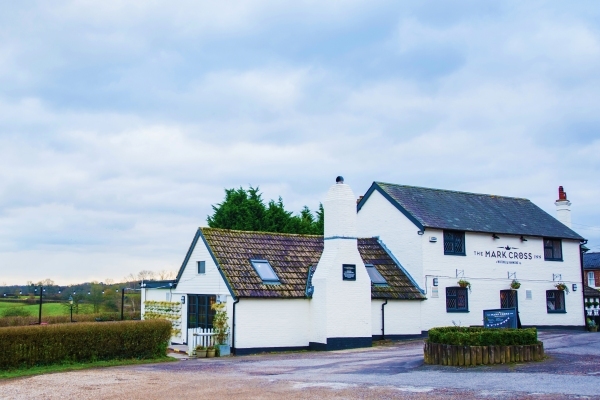 In the heart of the countryside, this cosy village pub gives a warm welcome to all with friendly staff and a homely feel inside. You may have heard of the dramatic fire that swept through the place in 2017. Well like a Phoenix rising from the ashes the pub is firmly back on it’s feet having enjoyed a total refurb. They have definitely taken this as an opportunity to improve the interior which now looks fabulous. 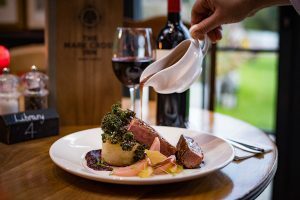 Offering classic pub fare this is a good option for family meals out – and popular both with grandparents and kids! 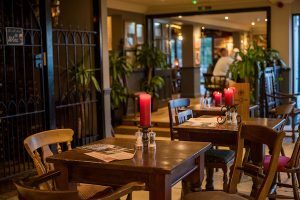 Food is served all day every day from 12pm with breakfast served at the weekends, the menu changes daily to move with the seasons and there’s even some locally sourced produce coming from the pub’s own veggie garden. With loads of country walks near by and the Sussex Country Gardener (decent garden centre) just over the road this is the kind of place you can pop in with the family for some relaxed weekend or after school dining.